This, below, is too good not to syndicate here with a tip of the hat and thanks to author Kathrin Liesenberg, Associate director of admissions for MBA and MSc at ESADE Business & Law School, and QS TopMBA. 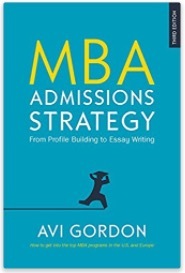 MBA essays are your direct communication line to the MBA admissions team and your best tool to stand out. Use your MBA essays to present yourself to admissions and share your talents and accomplishments with us without sounding pompous. The MBA essays are your chance to directly convince us of what you have to offer the program and that you are a good match for the school. • Write in a natural, clear and precise way that reflects your own voice. • Use a positive, conversational tone to make the essays readable and to prevent them from becoming rote autobiographies. • Talk about yourself by offering a balanced description backed by analysis in order to catch our attention. Use facts to support your intended message and leadership skills. • Don’t look for excuses. Nobody is perfect, and we all have failed at some point. Whining does not reflect maturity and should be avoided. • Don’t leave anything up in the air when you end your essay. Wrap it up by highlighting the aspects you would like us to remember. Now let us talk about the content. The MBA admissions team already has your marks, test scores, letters of recommendation and CV from your MBA application, so there is no need to write about those aspects extensively. The best way to approach the essays is to tell us a consistent story that ties together all of your experience and goals, using plenty of narrative and including specifics. Write your story, smoothly and naturally linking together all the aspects you consider relevant (your work experience, situations in which you demonstrated leadership skills, extracurricular activities, volunteering and social engagement, etc.). • First and foremost: stick to the questions! While this may sound obvious, applicants all too often stray off-topic. • Try to begin with something interesting (an anecdote, a quote, etc.) that leads you directly to the core topic you would like to address. How you begin your essay will largely determine whether it is a pleasure or a trial to read. • Clearly describe your specific mid and long-term goals, explaining how the business school can help you achieve them. • Showcase your high energy level and leadership skills. Being a hard worker able to give your best in all situations can lead to success; it can also offer proof of your commitment to achieving your goals. 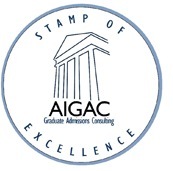 • It is also a plus to note that you have been in touch with current and former MBA students. It shows you have done your homework and bears witness to the seriousness and thoroughness of your approach. • If you are given a chance to write an optional essay, use it to share additional information that you believe will truly help to round out your MBA application with MBA admissions. If you believe something important has been missed, this is your chance to tell us about it. Likewise, if you plan to use this question to address an aspect of your MBA application that you believe is a potential disadvantage, do not make excuses. Instead, provide the necessary clarification and take responsibility. It will help to highlight your maturity and show that you can also be self-critical. • Allow a third party to read your essays and bring them back down to earth if they do not reflect the real you or if you forgot to mention, or simply took for granted, a true personal asset. • Your leadership skills and potential: challenges you have overcome and progress you have made in terms of your responsibility level over your career. How will you change the world? • The impact of the international environment on you, as well as your international experience. How will you approach the diversity on our campus? • Your understanding of the MBA program and the kind of collaborative, teamwork-based learning environment most MBA programs thrive on. • Does length matter? Yes it does! Try not to exceed the word limit, as it could suggest that you are unable to follow simple directions. We receive hundreds of essays at MBA admissions and do not appreciate it when applicants fail to observe the word limits. • One last piece of advice: make sure you send the essay to the right institution! We receive essays meant for other institutions more often than you might think. Needless to say, it can have a very negative impact on the applicant’s candidacy, including automatic rejection for carelessness or, even worse, for committing plagiarism. In conclusion, please don’t write what you think we want to read. Just be yourself and be honest! At ESADE, we cherish diversity and are very open-minded regarding work experience, education and post-MBA goals. However, when we are reviewing your MBA application, especially if you advance to the interview round, we will be looking for consistency and sincerity in your answers.